A barrel is an explosive that would burst and damage any players and mutants within its blast radius when it is hit. It is found in singleplayer campaign and coop multiplayer to help take out the mutants and is also found in free-for-all deathmatch to damage enemy players. 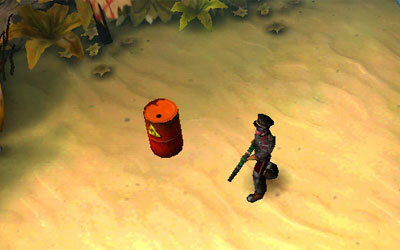 Note that a barrel can be destroyed by both the players and the mutants, although the mutants would not aim at it intentionally.